Through the Christian children's charity Compassion, we at Central sponsor an African boy called Ahija Makanga. We began our sponsorship in 2001 when Ahija was 7 years old. He lives in eastern Kenya, close to Kisumu on Lake Victoria with his grandparents, brothers and sisters. Our sponsorship of £22 per month covers his education, healthcare, clothing and Christian education at the Kisumu Project. Through his letters we learn about his daily life. He keeps a goat, cow and hens, plants crops and helps his grandmother. We also receive school reports. Our sponsorship also helps other children at the Project, but for all the financial help we give, we get more back in the love and joy in Ahija's letters. This ladies’ group meets on alternate Mondays at 7.30 pm between October and May with a varied programme. There is usually a speaker and meetings are held either in the homes of members or in church. We also enjoy a meal out together at the end of the season. 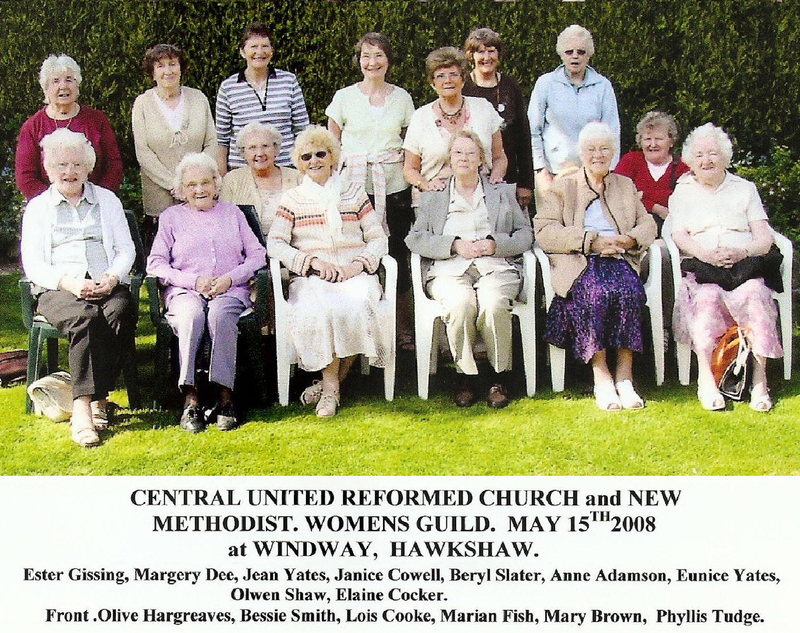 January and February meetings are held jointly with the Women’s Guild on a Thursday afternoon in the church hall. Bible study sessions are held on a regular basis, usually to link in with specific times of the church year. These are led by either a Minister or a Lay Preacher. The care of one another and of our community is an integral part of life at Central. We have a large team of official visitors and encourage others to get involved in this ministry. Pastoral care is not simply visiting, or listening but also a way of getting to know members of our fellowship better. 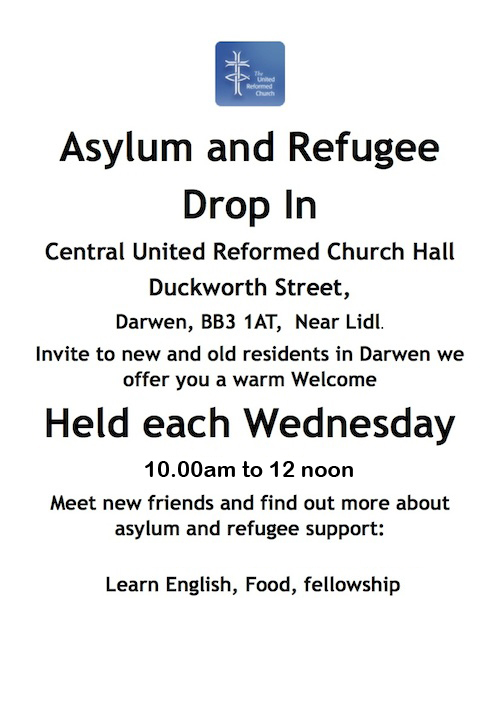 This group meets at the Bridge Street café in Darwen on the second Wednesday in the month from 10 am to 11.15 am. It meets for a very basic and simple Bible study but relates it to modern life and there is a lot of discussion. It is led by Lay Preachers. The Central reading group has been established for several years. There is a regular group of up to ten or so readers and we meet at lunchtime in the home of one of our members. Books to read are chosen from a list provided by Blackburn library, which has multiple copies which we can borrow. Each member takes a turn at choosing a book to read and discuss. We are finding that we are reading lots of books that we would not normally pick from a shelf. Likes and dislikes are varied and discussions can be lively and lead in all sorts of directions! We meet at 2.15pm in the coffee lounge at Central Church, usually on the third Thursday of the month, from October to May. Our meetings are friendly, informal and varied. We extend a warm welcome to visitors and new members of all ages.